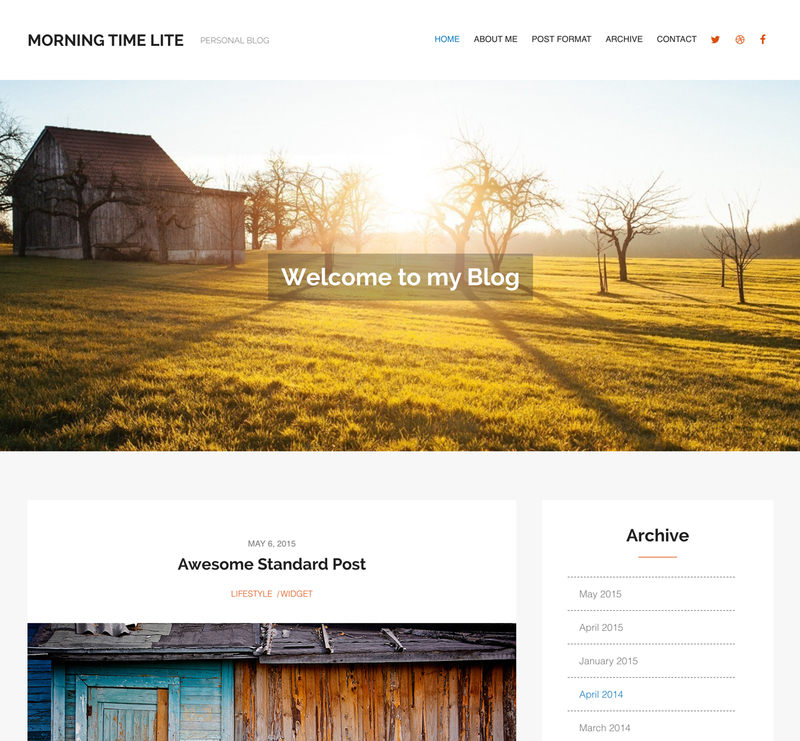 Morning Time Lite is a Free WordPress theme with a beautiful design ideal for a Personal Blog, Family Blog, Journalists and anyone who loves to share their daily thoughts in a very professional and unique manner. Free Responsive WordPress Theme for your personal blog. Morning Time Lite will help you to Capture visitor’s attention due to the beautiful design and different post formats, to Preserve your memories in time with an unique archive and to Have the best Personal Blog where you would like to come over and over! The best way to make posts available in time is through an archive page. The archives are the heart and history of your blog and thanks to the archiving feature your older posts can be found online at anytime in the future. Morning Time theme has a nice way to display an archive just for your blog. MorningTime is endlessly customizable, with greatly advanced theme options that offer lots of possibilities to set your website up the way you like it.